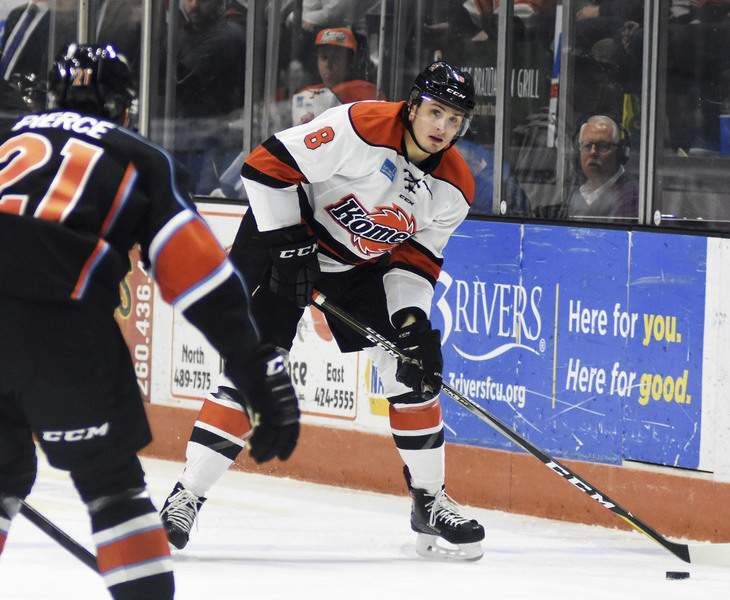 Katie Fyfe | The Journal Gazette The Komets' Josh Elmes could find success on offense against Toledo. Rachel Von | The Journal Gazette The Komets' Brady Shaw controls the puck at Memorial Coliseum. The Komets and Toledo Walleye open their best-of-7 Central Division semifinals series at 7:30 p.m. today at the Huntington Center in Toledo, and here's a series breakdown. Fort Wayne's Zach Fucale has been up and down, going 20-9-3 with a 3.18 goals-against average and a .894 save percentage. Pat Nagle is solid, but Fort Wayne let him go in 2017 because they didn't think he could get them to the next level. Nagle was 22-14-3 with a 2.81 GAA, a .910 SP and three shutouts in the regular season, while rookie Kaden Fulcher was 15-7-6 with a 3.00 GAA, a .899 SP and one shutout. The Walleye's offense hasn't totally recovered from the loss of T.J. Hensick to the American Hockey League's San Jose Barracuda, though it's still got a slew of dangerous playmakers such as Shane Berschbach (63 points in 65 games), Dylan Sadowy (23 goals in 43 games) and Greg Wolfe. Toledo's forwards suffer from the same problem as the Komets' – they tend to get caught in transition play and take bad penalties. Fort Wayne's offense is slightly more formidable with J.C. Campagna (35 goals in 63 games), Brady Shaw (64 points in 68 games), Jake Kamrass, Shawn Szydlowski and Justin Hodgman. But Campagna and Szydlowski have combined for only one goal against Toledo. 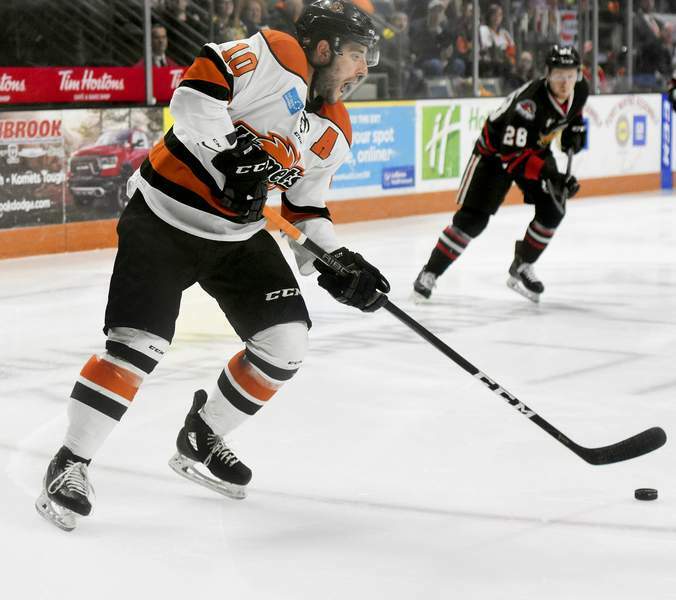 In their own zone, the Komets have yet to show consistent play and are vulnerable to players who set up camp in front of the net. The defensive corps has, simply, been a work in progress. On offense, Josh Elmes, Ryan Lowney and Chase Stewart should be able to impact this series. Toledo has a reliable group, including Marcus Crawford, Ryan Obuchowski and Brenden Kotyk, that will clear the sight lines for the goalie and not take bad penalties. Matt Register (46 points in 62 games) is a force in the offensive zone. It's been a tumultuous season for Fort Wayne's Gary Graham (251-130-51 ECHL record) as he's tried to get his players to adhere to his message and play consistently well. But he doesn't get nearly enough credit for making the playoffs all six seasons as Fort Wayne's coach and winning a Southern Professional Hockey League championship. He's been at his best in the postseason, guiding the Komets to a 38-29 record and victories in seven of 12 series. Toledo's Dan Watson is 141-57-18. In the playoffs he's 15-12 and won 3 of 5 series. He gets the most from his players. Toledo is more reliable on the power play (18.7% to 16%) and penalty kill (83.1% to 80.6%). When it comes to short-handed goals, Fort Wayne scores more (13-9) but has allowed one less (15-14). Toledo has home-ice advantage, which will give it the opportunity for early series momentum and the pivotal Game 7 at home, if necessary. Fort Wayne has actually gotten just as many points on the road (41) as at Memorial Coliseum. Fort Wayne has taken 48 more minor penalties. Toledo has seven players contracted to higher-level teams and Fort Wayne has three, though we don't know if we'll see Matthew Weis. Since Toledo's 11-0 victory over Fort Wayne on March 2, the Walleye has averaged only 2.29 goals, been held scoreless three times and are 8-8-1, while the Komets have gone 10-7-1, allowed 3.00 goals per game and won both meetings.